As in most of the hard STEM fields, the understanding of how gender can be a relevant research dimension to be taken into account into Computer Sciences and IS research content is still limited and not widespread. An inner neutrality of algorithms and coding as such is often mentioned to question the need for gender-sensitive CS/ICT and IS research. The main arguments to demonstrate the importance of taking gender into account also in computer and information sciences research content-wise implies stressing the many different ways in which gender diversity shapes end-users needs and approaches towards technologies. During the research and implementation activities carried out in the context of the EQUAL-IST project with six RPOs across Europe, we identified the integration of a gender dimension in IST/ICT research content as a dedicated area of intervention for the Gender Equality Plans (GEPs) to be designed and implemented within the project. Still, we had to acknowledge how there is a need from the side of ICT/IST researchers to achieve a better understanding of what this actually means and entails in the practice of designing and executing research programmes. 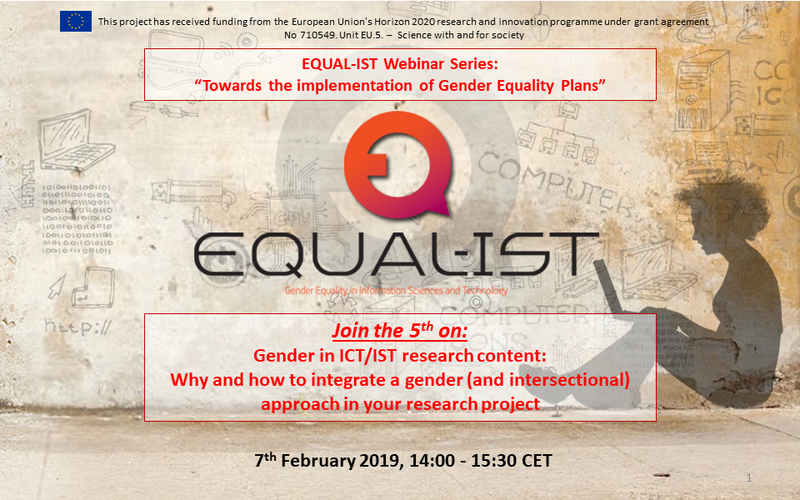 Therefore, this webinar has been included in the frame of the EQUAL-IST series of Webinars aimed at supporting the Implementation of Gender Equality Plans in Research Performing Organizations: it will allow researchers in the fields of Information Systems and Computer Sciences to learn from scholars and experts and their concrete experiences. Nicola Marsden is an internationally recognised expert on gender and ICT design. Her research links psychology, social studies, and computer science and aims to innovate IT in a way that is non-discriminatory and inclusive to all. A Professor for Social and Media Psychology at the IT Department of Heilbronn University, director of the Heilbronn Institute for Applied Market Research, and initiator of Gender-UseIT, a network for integrating a gender perspective in researching human-computer interaction, user experience, and artificial intelligence. Nicola has advised and published widely on unconscious bias in IT systems, gender equality by design, data bias and fairness, and social impacts of computer systems. Nicola’s combination of technological and psychological expertise provides the framework for her research, teaching, and transdisciplinary work in organizations. 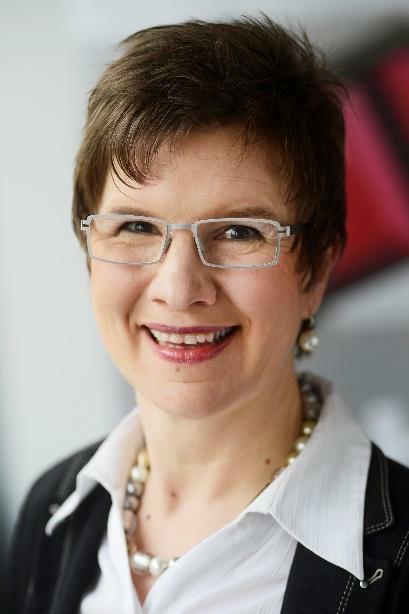 She is on the executive board of the Competence Center Technology – Diversity – Equal Chances (kompetenzz.de), a non-profit organization that actively helps shape Germany’s path towards becoming an information-, knowledge, and competence-based society. To this end, it develops and carries out a wide range of initiatives and projects to make equal opportunity a reality in all spheres of society and work. Chiara Leonardi is a senior UX researcher at Fondazione Bruno Kessler (Italy). Her work is at the intersection of Social Sciences and Computing. She leads human-centred studies applying inclusive and participative methods aimed at understanding possible domains for technology use and designing and evaluating digital services. 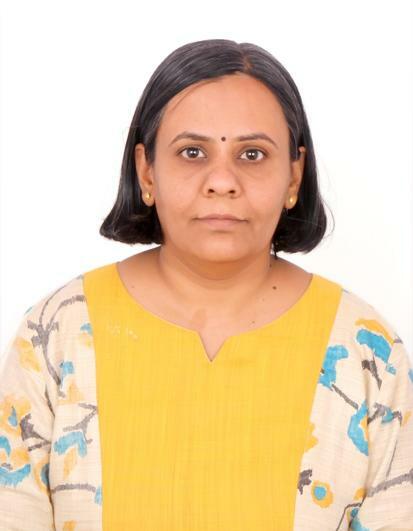 Kalapriya Kannan is working in IBM Research India Labs, and her area of interest spans large scale systems, AI systems and recently into areas like active learning, Bias etc., Over 13 years of Post PhD industry experience she has acquired a deep understanding of distributed systems, AI systems and what it takes to build them. She has been part of the recent Open source contribution on BIAS from IBM AIF 360. She has to her credit about 30 international peer-reviewed publications and over 45 disclosures filed at the US Patent Office. Learning from examples of research conducted in the fields of ICT/IST how a gender dimension can be integrated into research design and implementation. Following up to the webinar, participants will be invited to work on an existing ICT/IST research project of their choice in place or still in the design phase at their own institution and to review it by identifying how a gender dimension could be integrated into research content and methodologies. Your personal information is fully respected.